Just adding breed genotypes since the discussion came up on another thread. I want to talk about the tan color because there are not many informations about it. 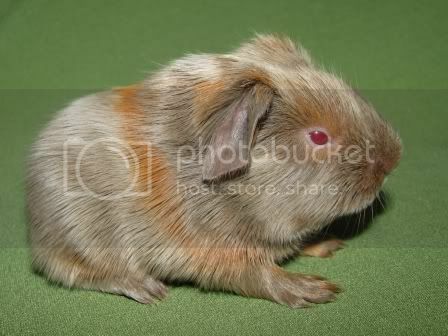 A tan guijea pig will have on the body black or a diluted color of black (choccolate, slate-blue, liliac, coffe, beige) and golden marks: on the belly, around the eyes, the nose, sides of the mandible, the inside of the legs, on the ears. 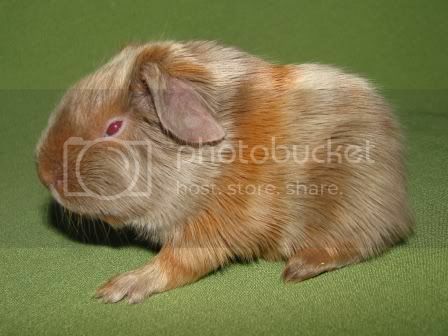 These marks are not actualy pure golden, but agouti. 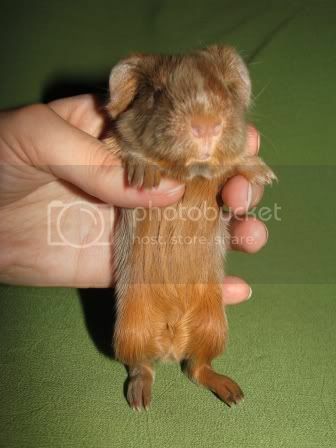 Tan is, actually, an agouti with the at gene. This gene stops the red color to lie all over the body, the red colour appearing just in the marks mentioned above.